Soft lenses are as the name suggest are soft to touch and are made out of special water retaining plastics that allow your eye to breathe through them. 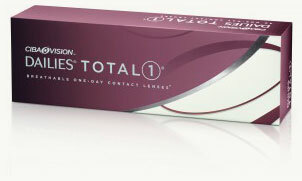 At Taylor’s opticians we know how important all day comfort is with your contact lenses. That’s why we offer soft lenses with innovative moisturisng properties to maintain best comfort and optimum vision. Some of our popular moisturising contact lenses include 1 day disposables such as 1 Day Acuvue Oasys with Hydraluxe by Johnson & Johnson, Dailies Total 1 by Ciba vision and MyDay by Coopervision.